You are a fierce learner. Your curiosity is your guide. You hunger for experiences. 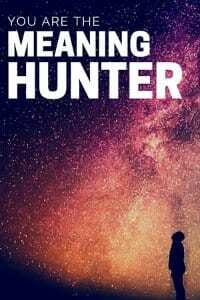 You are the Meaning Hunter. Your wonder is a wide heart and clear eyes. You are a question, bent north, toward the beautiful ‘Why?’. You don’t mind not having answers. You understand that’s how the knowing begins. You ask the questions others are afraid to. You help us all know more. You crave to be in the arena, where it counts. You know it’s where all the action is. Where the fastest learning takes place. An IV straight to the vein. You pay no mind to yapping critics in the stands. You know they’re empty tombs. You know their only accomplishments will be choking on their popcorn. You know life is not merely for informational purposes. You live for the transformation of experience. You know that’s how knowledge gets into the blood stream, into muscle memory, how it glues the neurological network together. You seek meaning like it’s money, and won’t stop until you’re a billionaire. You know that life is not a zero-sum game. You will not hoard it when you’ve achieved it, you’ll spend the rest of your life giving it away to all those in need. You know that kindness is a currency, and the way to become rich is by giving. And giving. And giving. You also know the secret of this special currency: it grows in value, the more you spend it. For being an ADHD hero. For the change you can bring. It needs you right now.